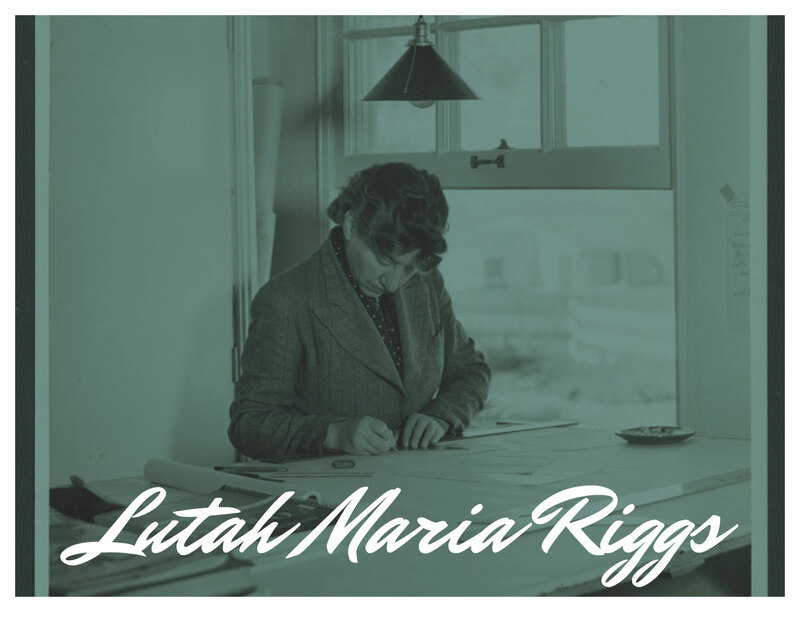 A monologue celebrating Lutah Maria Riggs: A renowned woman in the Santa Barbara workforce of architecture. 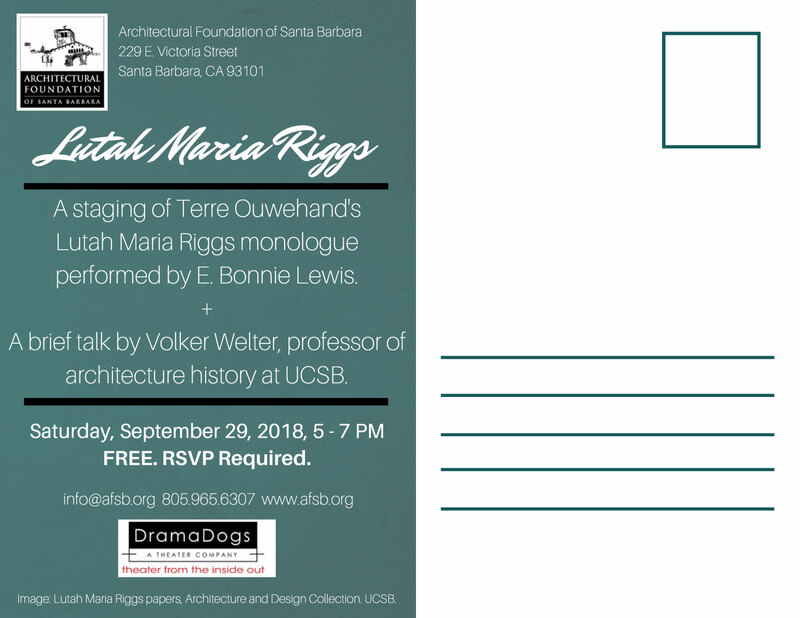 The Architectural Foundation of Santa Barbara, in collaboration with DramaDogs, a theater company, is pleased to present Lutah Maria Riggs, a monologue performance, which will be held on September 29, 2018, from 5 – 7 PM, at the Architectural Foundation of Santa Barbara. The event will feature a staging of Terre Ouwehand’s Lutah Maria Riggs monologue, which can be found in her book Voices from the Well: Dramatic Portraits of Extraordinary Historical Women (Old Hand Press, 2015), performed by E. Bonnie Lewis. The event will be followed by a reception and talk with Terre and the DramaDogs. The event is free, but RSVP is required as space is limited. Lutah Maria Riggs was the first woman in California to be named a Fellow of the American Institute of Architects. 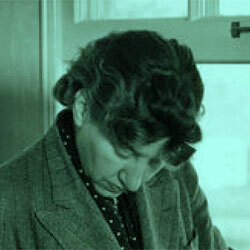 She was the first licensed female architect in Santa Barbara. A draftswoman for noted architect George Washington Smith, she eventually became a partner in his firm. Lutah joined the Smiths on travels to Europe and Mexico and contributed significantly to what became known as the Santa Barbara style. Some of the better-known buildings she designed include Lobero Theatre, El Paseo, the library at Botanic Gardens, Vedanta Temple. Events like this exemplify how the Architectural Foundation of Santa Barbara continues their mission of educating the public on the built environment, evident also in our support of students continuing their education in architecture and related fields through our Scholarship Programs. One of our scholarships is aptly named after Lutah Maria Riggs and every year we partner with the Scholarship Foundation of Santa Barbara to award scholarships to selected Santa Barbara County students. The AFSB Gallery is located in the historic Acheson House at the corner of Garden and East Victoria Streets in Santa Barbara. Regular gallery hours are Saturdays from 1:00 to 4:00 pm and by appointment (please contact Rocio Iribe at 805-965-6307).